La Jolla Acupuncture | Wonderworks Healing Arts | Amorah Kelly L.Ac. In Body, Mind & Spirit! At our La Jolla sanctuary, Chinese medical practitioners use a variety of healthcare therapies. Acupuncture, moxibustion (which is a type of heat therapy using the mugwort plant), and Chinese herbal medicine are the most popular. The many healing benefits of acupuncture include increasing energy and improving health and well being while decreasing physical and emotional stress and pain, which creates balance and harmony. Energy healing is a non-invasive procedure to compliment and amplify the healing process. Energy healing helps move stagnant energy, creating a smooth flow of Qi (energy) throughout the body. Acupuncture and herbal remedies can help increase fertility by reducing stress, relaxing and calming the mind and spirit, increase blood flow to reproductive organs, and balance hormones in both men and women. Bi-weekly acupuncture treatments are recommended to help quit addictive habits. Using the NADA (National Acupuncture Detoxification Association) protocol in the ear and body, organs detox and balance are restored. Acupuncture stimulates the body’s natural “feel good” hormones, which create a calming, relaxing sensation in the body and mind eliminating the need to overeat for emotional comfort. Amorah Kelly, La.C., M.S., O.M. Amorah Kelly, L.Ac.,M.S., O.M., is a state and nationally licensed Acupuncturist and Herbologist. She studied acupuncture and Chinese Medicine in Santa Monica at Emperor’s College of Oriental Medicine and in San Diego at the Pacific College of Oriental Medicine, where she graduated with honors. She has a Master of Science degree in Traditional Oriental Medicine, and is also an Ordained Spiritualist Minister. Amorah is passionate and devoted to helping people improve the quality of their life by balancing body, mind, and spirit. She is a gifted intuitive, empathic healer with 30 years experience. She is the proud mother of twin sons and lives in La Jolla. 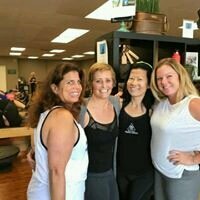 Acupuncture, Chinese medicine, massage, and energy healing services provided by Amorah Kelly, L.Ac., M.S., Wonderworks Healing Arts located in La Jolla in San Diego County. Voted best in La Jolla and San Diego. Click icon for more details. Call 858 775 1515 to purchase.